Please join us on February 4 for a Bystander Intervention Training. Our community partners from CAIR will be leading a training on how you can be a effective bystander, and how to support someone who is the victim of bullying or discrimination. 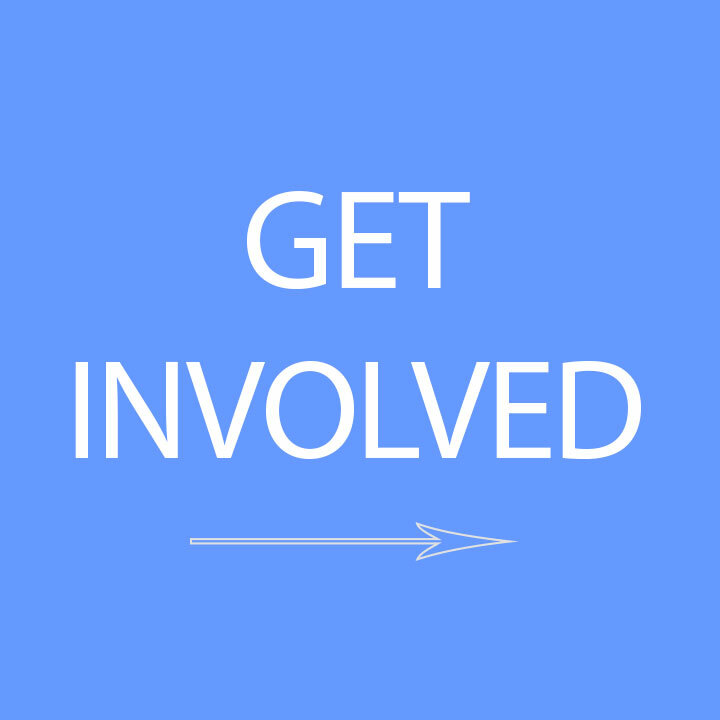 Also, learn about SIREN's campaigns for 2019 and how you can get involved! Food and children's activities will be provided. 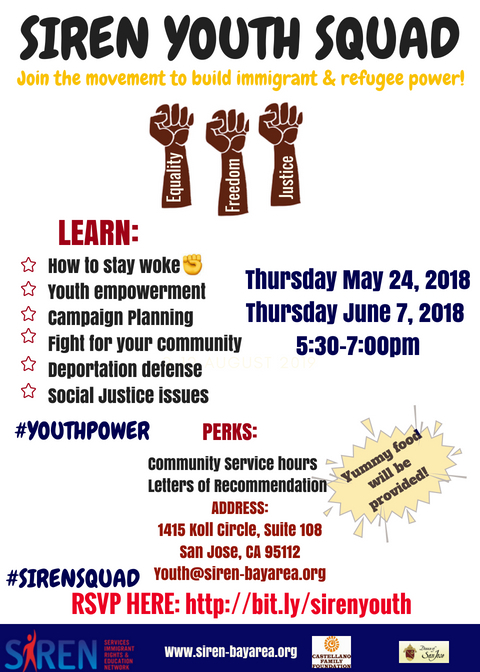 Please RSVP to action@siren-bayarea.org. Are you currently a legal permanent resident and want to become a U.S. citizen? Join Congressman Ro Khanna (District 17), the United States Citizenship and Immigration Services (USCIS) and community nonprofits to learn about the process and get help. There also will be free study materials to help you prepare for the citizenship interview, as well as refreshments. La Área de la Bahía a recibido amenazas de inmigración con más arrestos en la comunidad. En este momento familias tienen que tener un plan familiar de emergencia en caso de que un ser querido sea detenido por inmigración . En este taller aprenda cómo usted puede crear un plan para proteger a su familia. ¡No espere más y haga su plan ahora! ¡Crea su plan familiar, no espere más! Este evento es para familias y sera en español. Por favor pase la voz con sus seres queridos. Learn about your immigration rights and options. Don't be a victim of immigration fraud! Know your rights and protect yourself from immigration fraud: What are your rights as an immigrant. Where to seek immigration help you can trust. What to do if you believe you have been defrauded. In November of 2014, President Obama announced his administration’s plan to allow undocumented immigrants who meet certain criteria to come forward and apply for protection from deportation and work permits. Learn about this Executive Action and what it means for you and your family, the latest updates, current status, and what you can do to get prepared now. Attend a free information session and learn about President Obama’s recent executive order on immigration and the new AB 60 driver licenses for immigrants in California. Come learn what the Executive Action means for you and your family. Also learn about the AB 60 application process, what documentation will be required, and effective strategies for passing the written test. On November 20th, President Obama announced his administration’s plan to allow undocumented immigrants who meet certain criteria to come forward and apply for protection from deportation and work permits. Come learn more from SIREN about this Executive Action and what it means for you and your family.